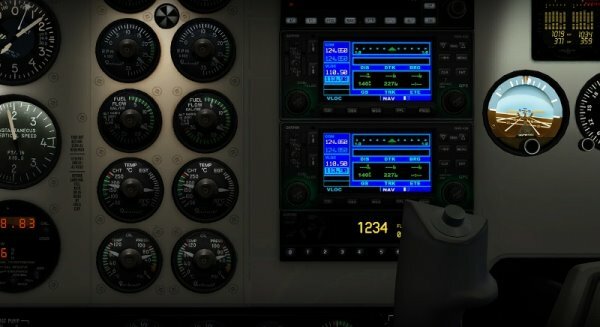 Customizable panel for controlling windows transparency, 3D knobs, windows tinted and static elements such as wheel chocks, pitot cover and sights props. 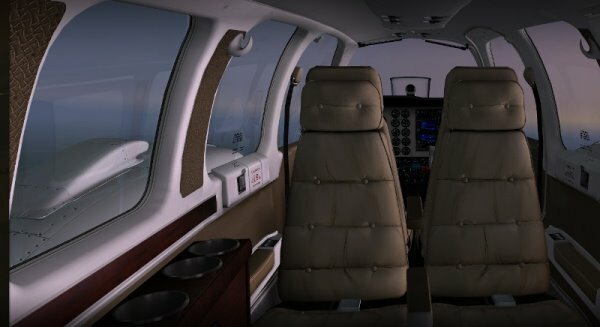 Pop up B58 manual with normal, emergency checklist and performance tables. 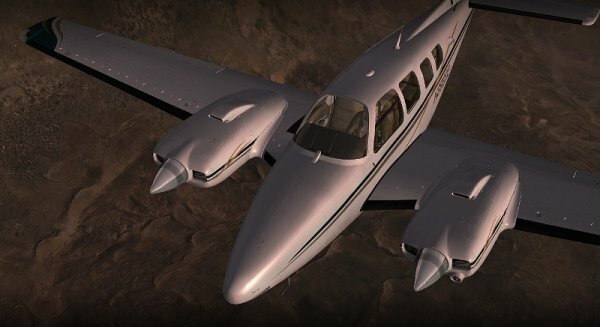 Tested by real B58 pilots. 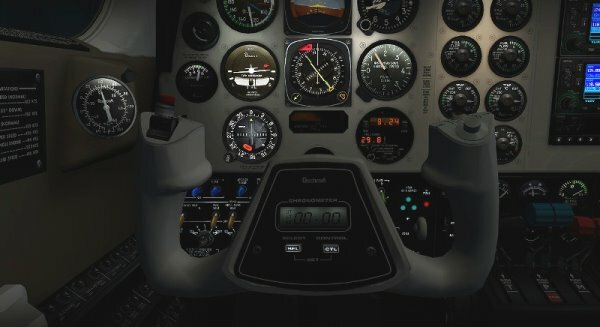 Realistic night lights effect on virtual cockpit. 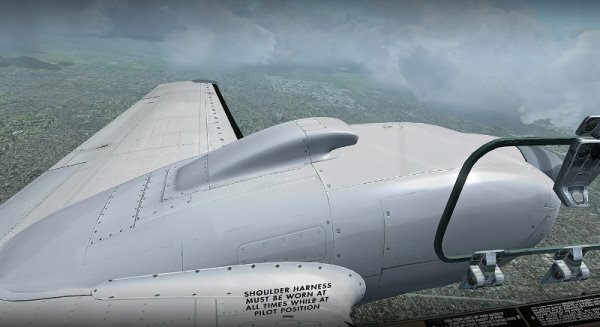 Ailerons, elevators, rudders, flaps, rolling wheels and trim tab. 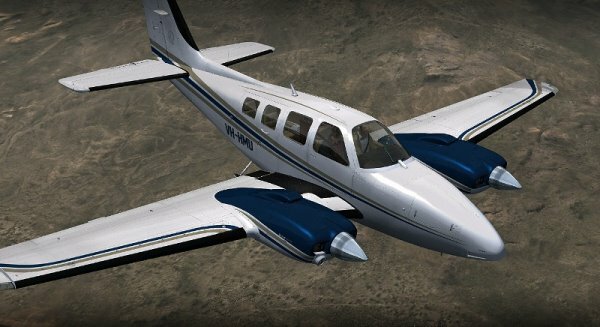 Animated sections such as: propeller, doors, windows, sun visors, passenger table, copilot seat and pilot. 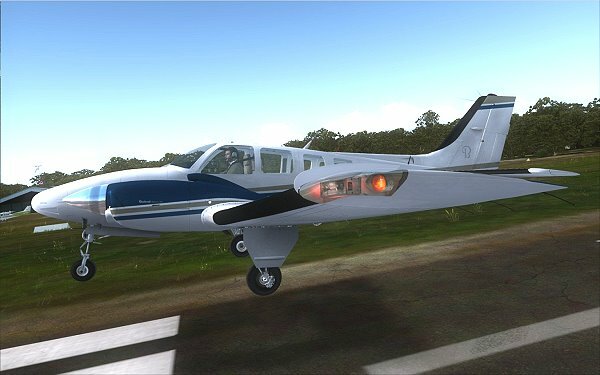 Microsoft Flight Simulator FSX with SP1 and SP2 (or Acceleration Pack) installed. Pentium V/2GHz or similar — 2GB RAM — 512MB graphics card. 260MB available hard disk space.